The Music Box is a unique and iconic development in the heart of London’s cultural centre. Through exceptional design, this groundbreaking scheme is providing a range of private and affordable homes as well as a brand new flagship headquarters for the London College of Contemporary Music (subject to contract). 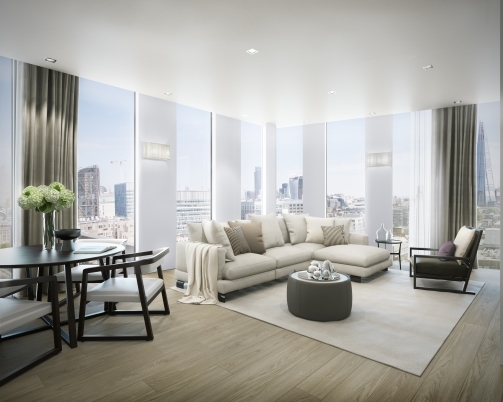 Inspirational architecture and outstanding interiors combine to create a new landmark for Southwark. We are working in close collaboration with the London College of Contemporary Music to deliver this landmark building project. 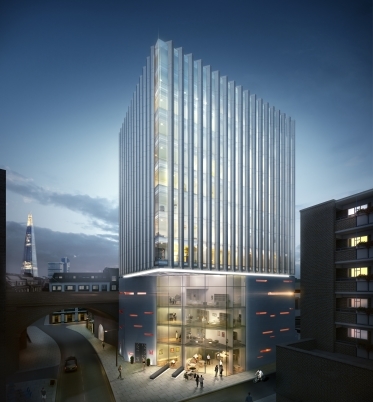 The Music Box is being constructed on the site of the LCCM’s former recording studios in Union Street, SE1, which were made available for a partnership development opportunity to provide the college with an iconic new headquarters. The first four floors of the building will be occupied by the LCCM from 2017, with a range of affordable and private apartments being created within the upper storeys. The 14 affordable homes, comprising 7 affordable rent and 7 shared ownership properties, were sold to Wandle Housing Association as part of the planning agreement. Exceptional design is the driving force behind the Music Box development, with the London College of Contemporary Music keen to ensure its new flagship centre delivers the perfect balance of forward-thinking style and functionality. We have worked with SPPARC Architects to create a striking design which takes account of the constraints of the site to provide a new focal point for London’s cultural centre. The development site offered limited space, so the Music Box has been carefully designed to bring as much natural light into the building as possible and create a feeling of openness throughout. 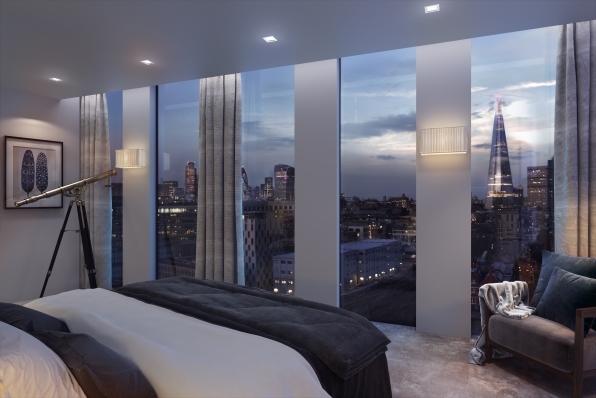 The LCCM’s new teaching and performance space features a glazed frontage, while the one, two and three-bedroom apartments above have floor-to-ceiling glazing which offer views over Westminster to the west, and The City and Shard to the east. The upper floors of the building feature enamel finished vertical fins inspired by the strings of a ‘chordophone’ instrument (such as a piano or harp), while the lower floors are finished with white polished bricks punctuated with a pattern which reflects a musical score. Sustainability is a key focus of the development with the apartments achieving Code for Sustainable Homes Level 4 and the college space set to attain a BREEAM ‘Excellent’ rating. The building will also exceed the Greater London Authority requirements for carbon reduction. These standards will be achieved through a range of sustainability features, including Combined Heat and Power district heating, which is significantly more energy efficient than providing boilers to individual apartments. A Mechanical Ventilation Heat Recovery system will help the new homes to stay warm in winter and cool in the summer by distributing air throughout the building. The Music Box is designed as a car-free scheme with secure storage facilities for 70 cycles provided for use by residents of the development.